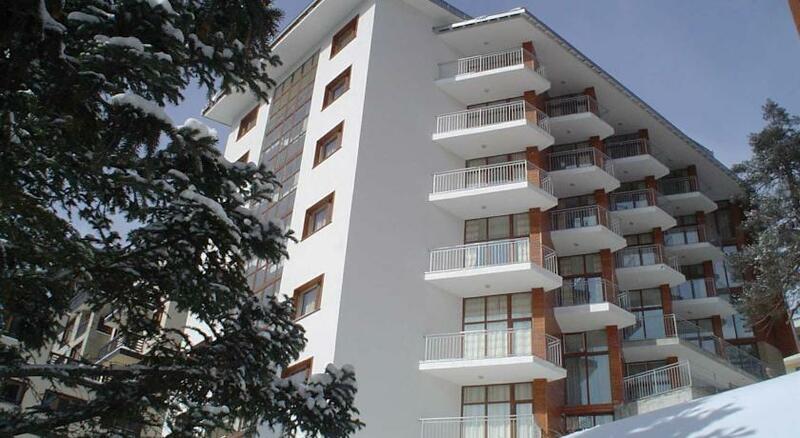 Located in the centre of Pamporovo resort the Dafovska provides easy access to the bars and restaurants of the town. 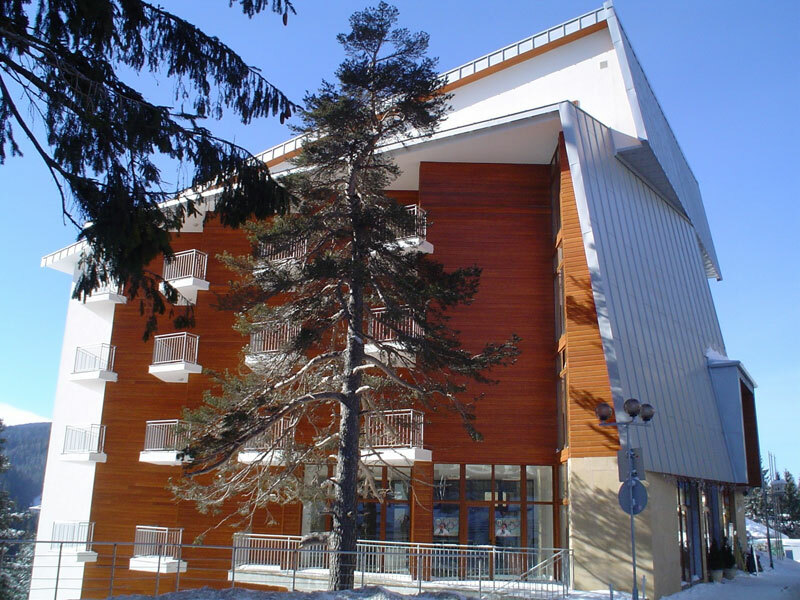 There is a free shuttle bus provided to take guests to the ski centre. It has 34 double rooms, 10 suites and boasts a 55 seater restaurant. 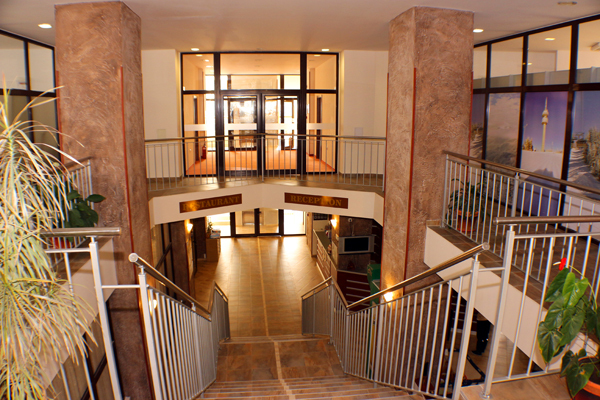 Hotel Dafovska offers its guests 10 suites, each with two separate rooms, they are suitable for four-member families. 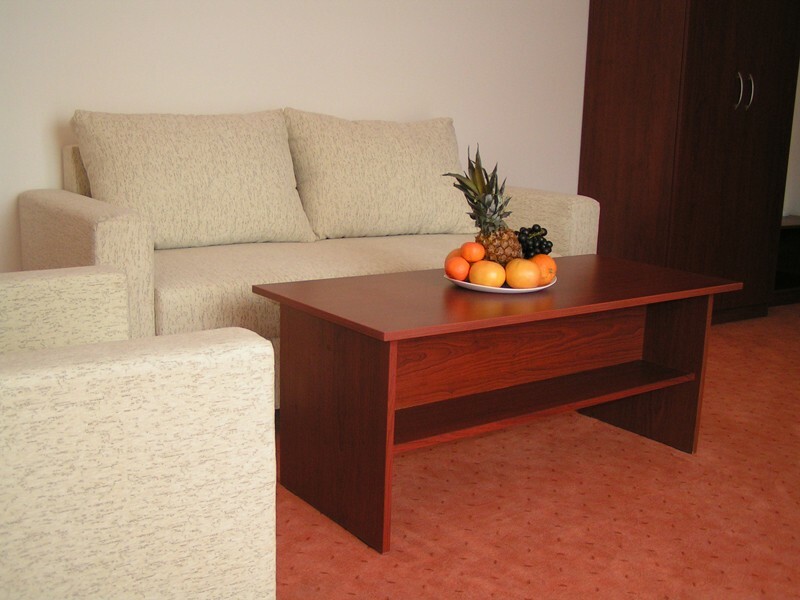 The living room is furnished with sofa, table, dressing table, wardrobe and two armchairs. The bedrooms have a double bed, two bedside tables and desk with mirror. Both rooms have LCD TVs with cable television. 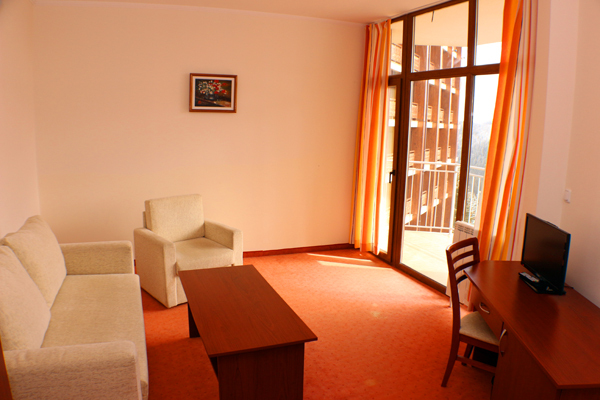 All apartments have their own bathroom and toilet, hairdryer, refrigerator, telephone, LCD cable TV and free internet. 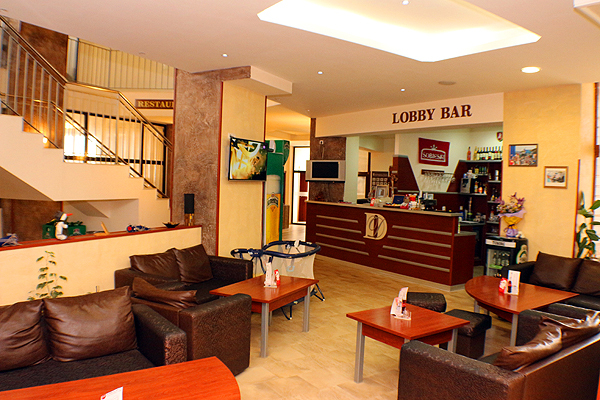 The lobby bar is located in the hotel lounge, next to the reception and offers a wide range of alcoholic, soft and hot drinks. On comfortable sofas can enjoy entertainment games family friendly conversation with a drink or a cup of fragrant tea or simply watch TV. There is a mini supermarket located on the ground floor.